We used them as the “noodles” in homemade lasagna (it was delicious!) and made dozens of different breakfast hash brown recipes with them. Sometimes, the simplest recipe is the most delicious and my kids love them just baked in the oven and topped with butter and salt. On busy days when we are running errands or working outside I often forget or don’t have time to throw them in the oven an hour before dinner. Did you know that it is possible to cook sweet potatoes (and regular potatoes) in the slow cooker and have them ready on a busy night? This has been my go-to method of sweet potato cooking lately and it works incredibly well! A friend had mentioned cooking sweet potatoes in her Crock-Pot. She might have meant actually peeling, cutting, and putting spices on them, but I decided to try it with the whole sweet potatoes … and it worked … really well! This is great if you like sweet potatoes for breakfast because you can cook them overnight. I’ll often slow-cook sweet potatoes overnight and top with leftover chicken or sausage in the morning for a super fast and nourishing breakfast. I feel bad even calling this a ‘recipe’ because it only has one ingredient and one step, but I was excited to be able to cook sweet potatoes in the Crock-Pot and wanted to share in case it is helpful to you! 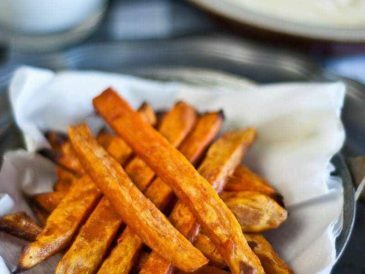 If you love sweet potatoes as much as we do, give this simple version a try! Cook sweet potatoes in your slow cooker with this simple and fool-proof method. Put on the bottom of the Crock-Pot, put lid on, and turn on low. Cook for 6-7 hours or until tender. Serve with butter and salt or as desired. For an easy breakfast, start the sweet potatoes at night and serve with leftover meat or veggies as a nutritious warm breakfast that is ready to go when you wake up! 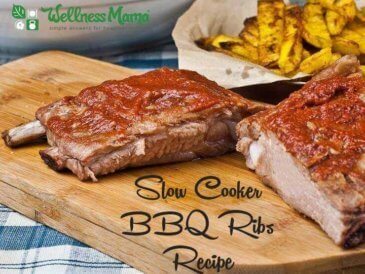 If you’re a Crock-Pot-aholic like me, check out my soups and stews recipes for some other great slow cooker ideas! 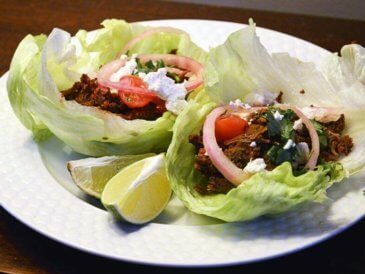 Better than a slow cooker? 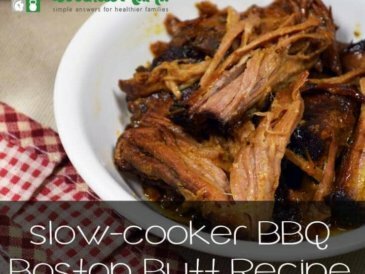 I recently got an Instant Pot, an electric pressure cooker that often works better than a slow cooker. 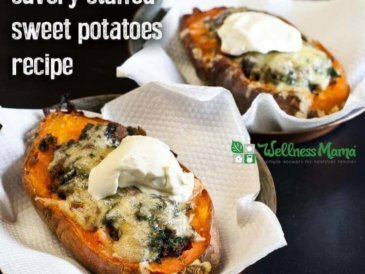 I haven’t mastered whole sweet potatoes in it yet, but we use it for many other recipes like slow cooked meats, stews, and chopped sweet potatoes. Check out my full Instant Pot review here and this super simple pot roast recipe that you can prepare in an hour in an electric pressure cooker! Worried about nutrient loss with a pressure cooker? This post explains how a pressure cooker may actually concentrate the nutrients in food, but there is one trick you need to know to preserve the nutrients in your food. Ever slow cooked sweet potatoes? 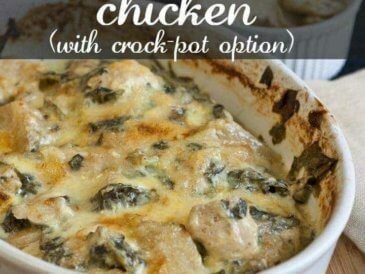 What is the easiest thing you’ve ever cooked in a Crock-Pot?